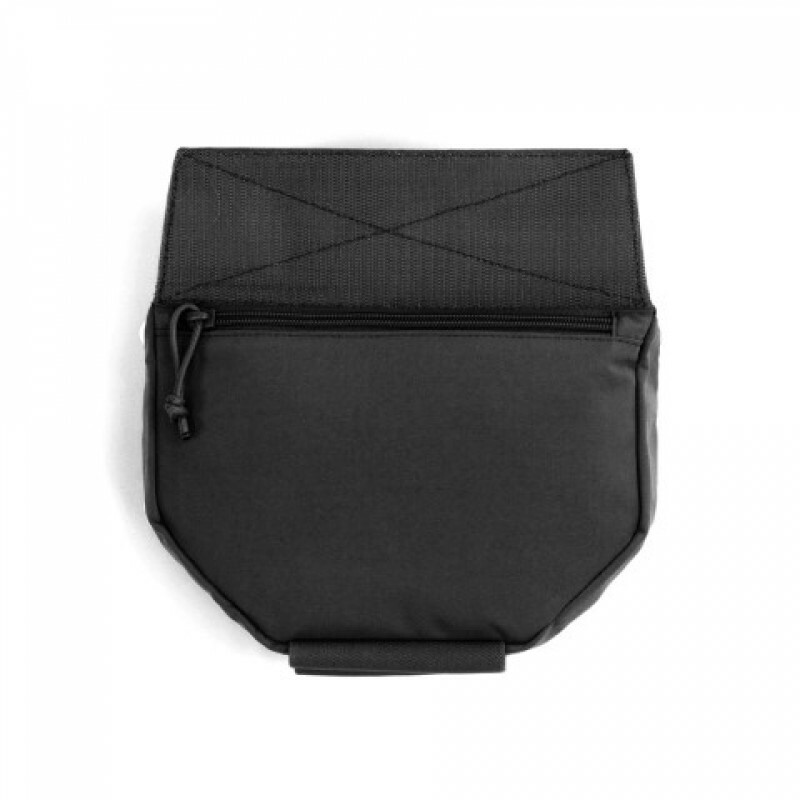 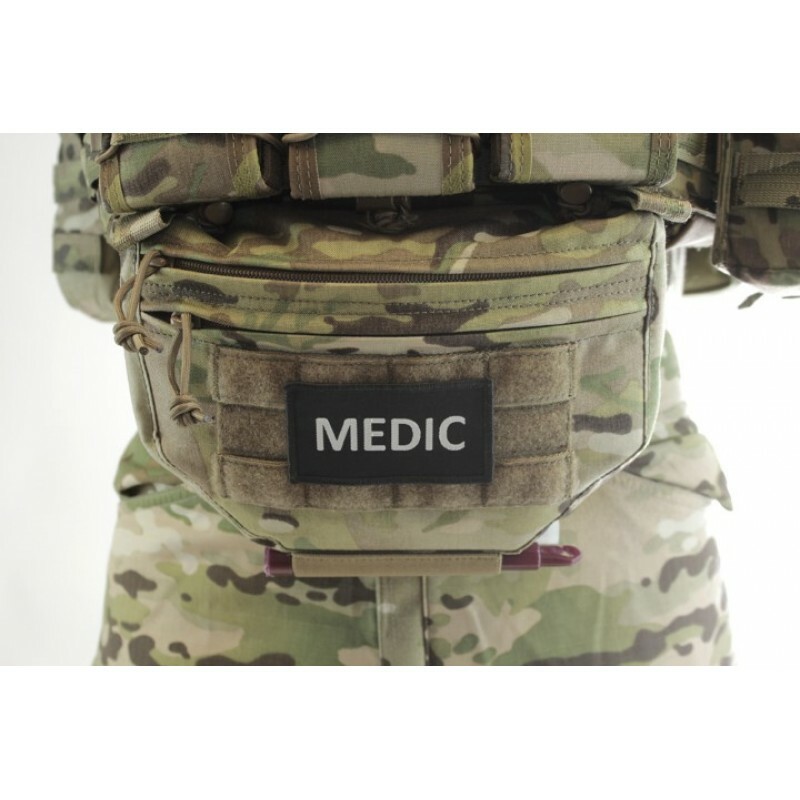 Warriors Drop Down Velcro Utility Pouch (DDVUP) hangs under the front flap of most armour carriers and attaches quickly and securely via Velcro™. 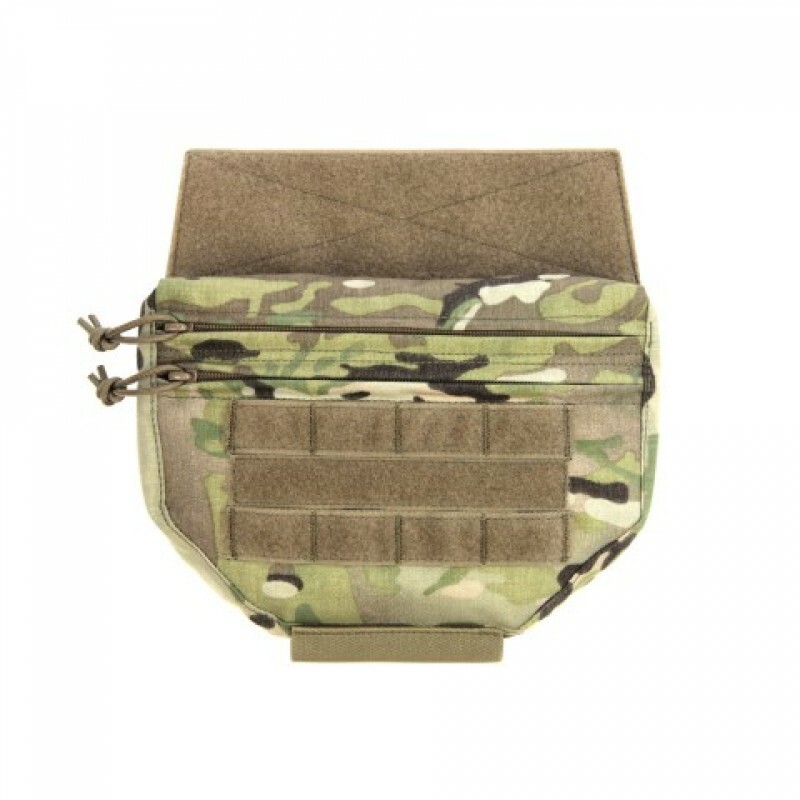 Ideal for use with Warriors DCS and RECON PLATE CARRIER platforms and Pathfinder Chest Rig. 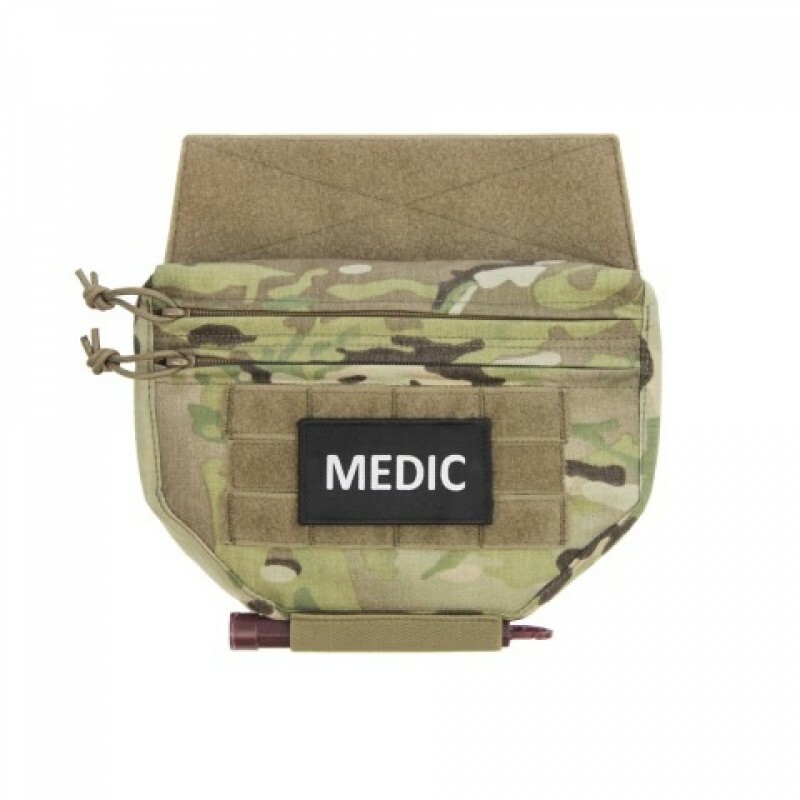 Featuring 2 zip pockets, the larger and main compartment is designed for storage and quick access of larger accessories and tools, Med Kit and Admin / Maps etc. The smaller pocket is good for storage of smaller items such as torches, batteries, Compass etc. 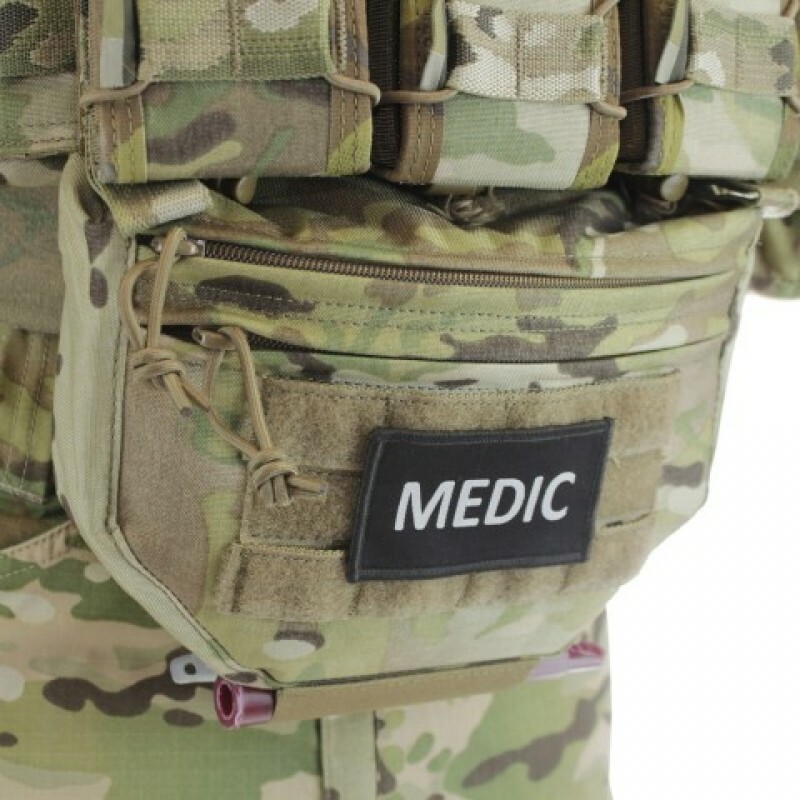 On the lower end there are 2 elastic loops for chem lights and or markers. 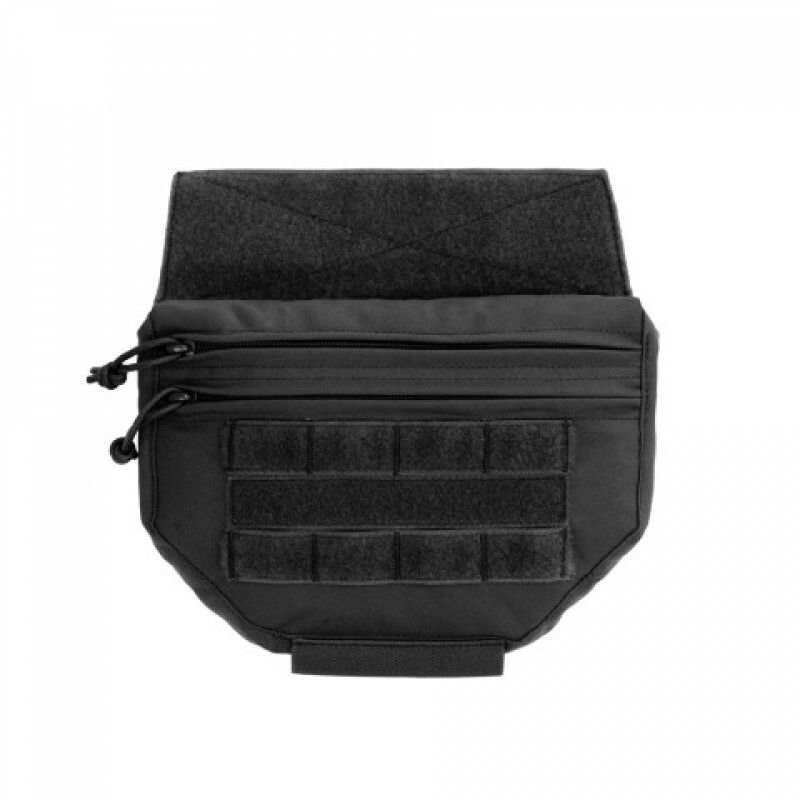 The Drop Down Pouch can also be used as an armour add on for lower abdomen protection, a rear zipped pocket allows a level 3a soft armour insert to be added. 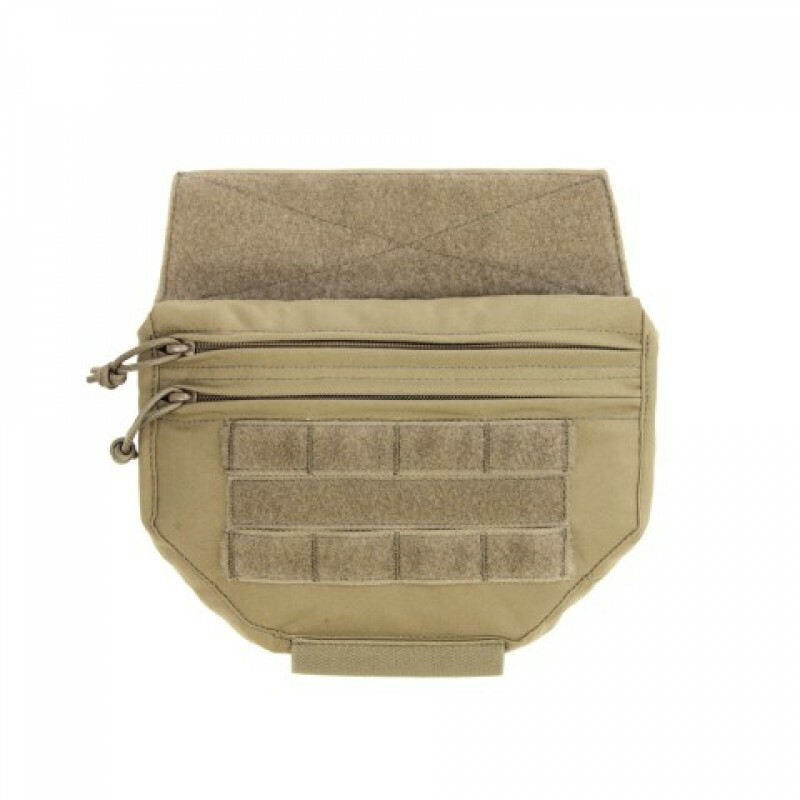 The front of the pouch has 2 rows, each comprising 4 loops of MOLLE webbing with Velcro loop sewn on, ( and an additional row of loop Velcro in between ). 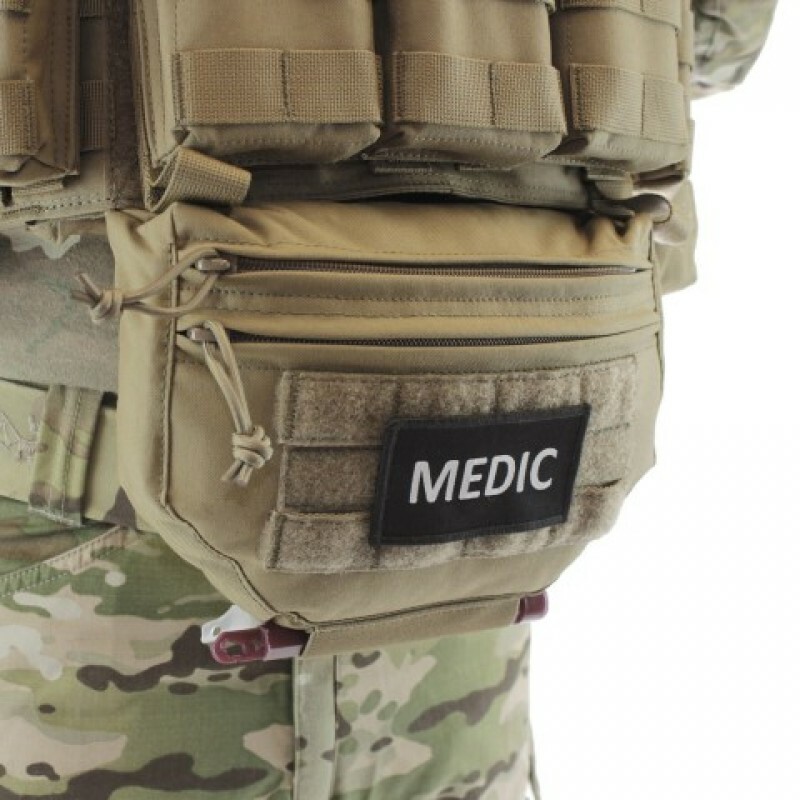 This allows the attachment of other small pouches and or call sign and insignia patches. 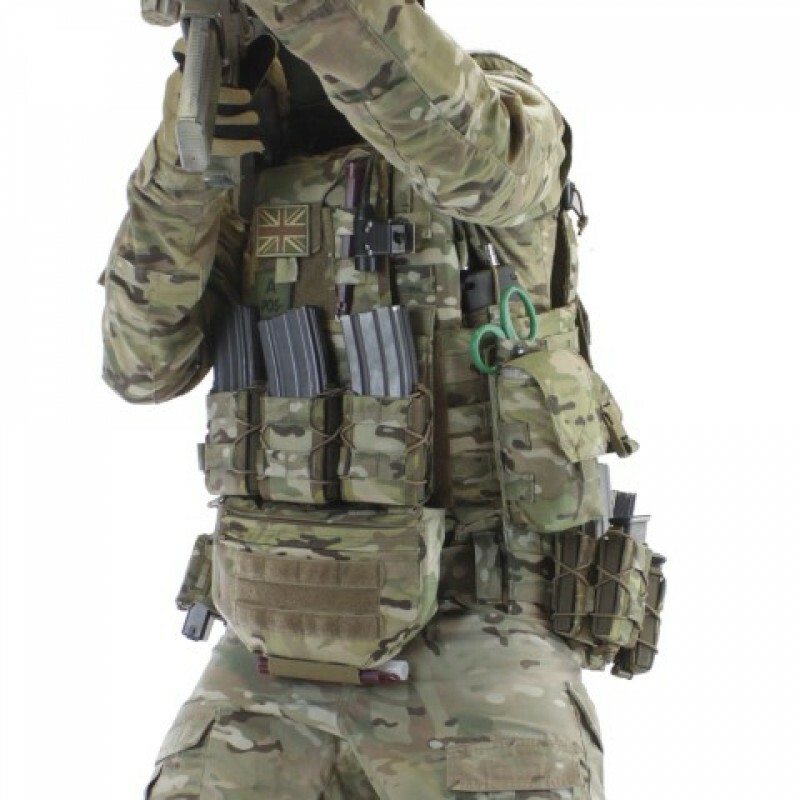 Used by elite combat & counter terrorism units in global conflict zones, Warrior Assault Systems gear has been battle tested and proven time and time again.